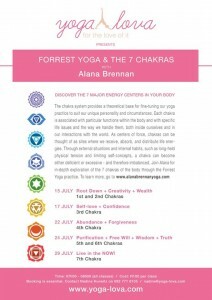 US based Alana Brennar will be visiting Yoga Lova during July 2015 to teach amazing “Chakra themed” classes and an exciting handstand and forearm balance workshop. Alana’s simple, detailed yet challenging teaching style combined with her beautiful calming energy is not to be missed. See the flyers attached for details. Places are limited and spaces are filling up quickly. 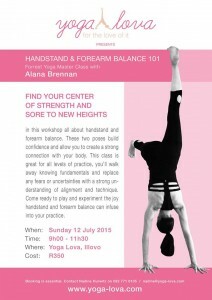 Contact nadine@yoga-lova.com or 082 771 6105 to secure your space!